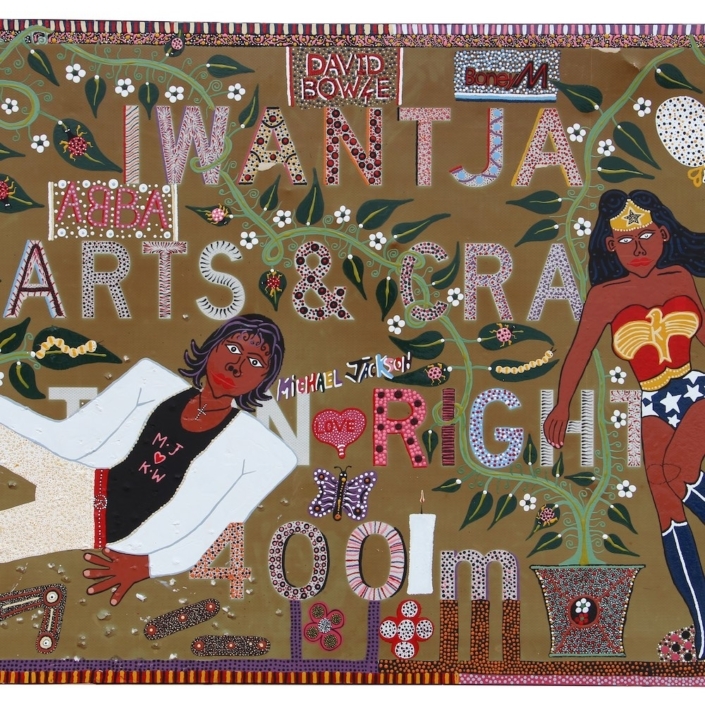 Warlayirti Artists is an artist-run cooperative Art Centre in Balgo, Western Australia. It is situated at the edge of the Tanami Desert to the east, the Great Sandy Desert to the south, and the foothills of the Kimberley to the north. Balgo was originally established in 1964 as a Catholic Mission Station and brought together Aboriginal people from different areas and language groups. 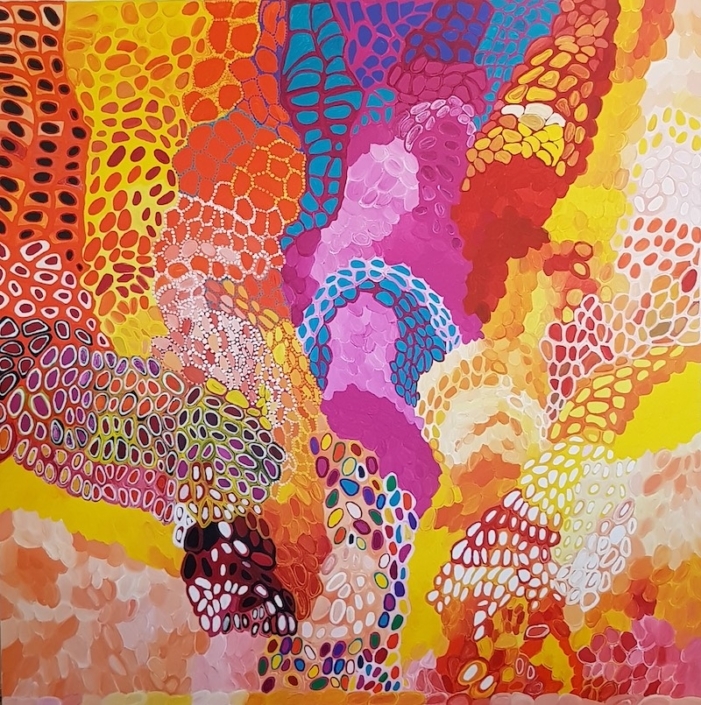 Warlayirti Artists represents three communities in the Kutjungka region: Kururrungka (Bililuna), Mulan, and Wirrimanu (Balgo) representing seven language groups: Kukatja, Walmajarri, Ngardi, Jaru, Wangkatjunga, Pintupi and Warlpiri. 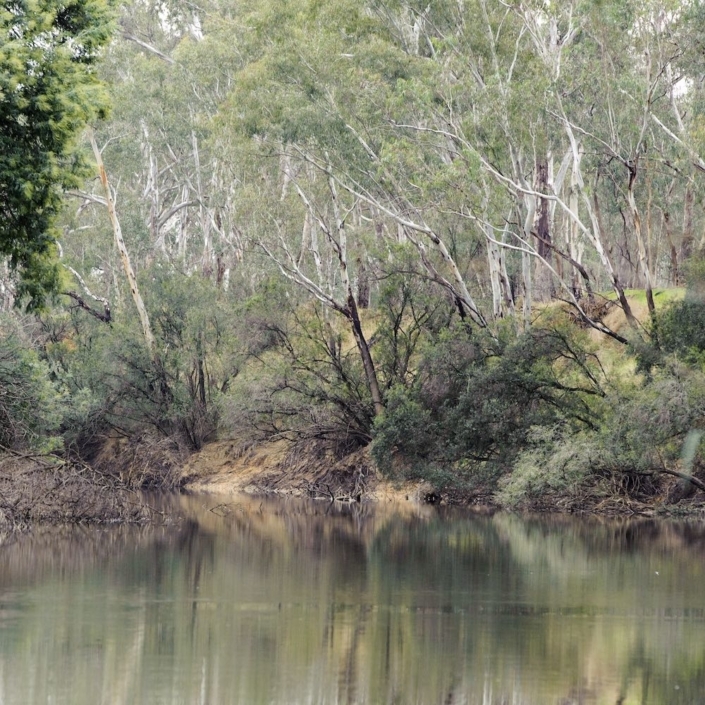 The art from Warlayirti Artists is charged by this cultural diversity. 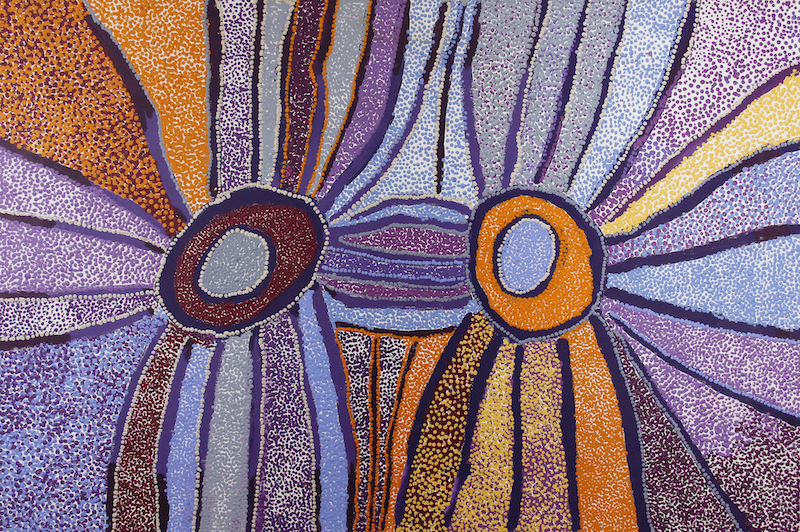 Iconic forms, bright palettes, and densely applied paint have defined Balgo art over the last 30 years. Artists apply paint confidently and directly to the canvas and reflect the rich cultural traditions of their Country. 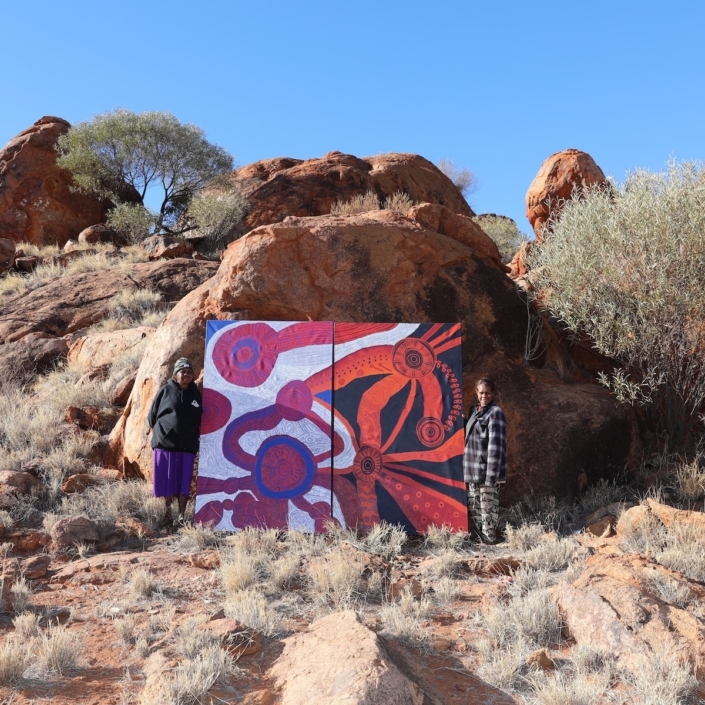 Many people who now live in Balgo are not living on their own Country, and the act of painting helps them to visit their traditional lands. Many senior artists were born in the bush and brought into the mission away from their traditional lands early in their lives. 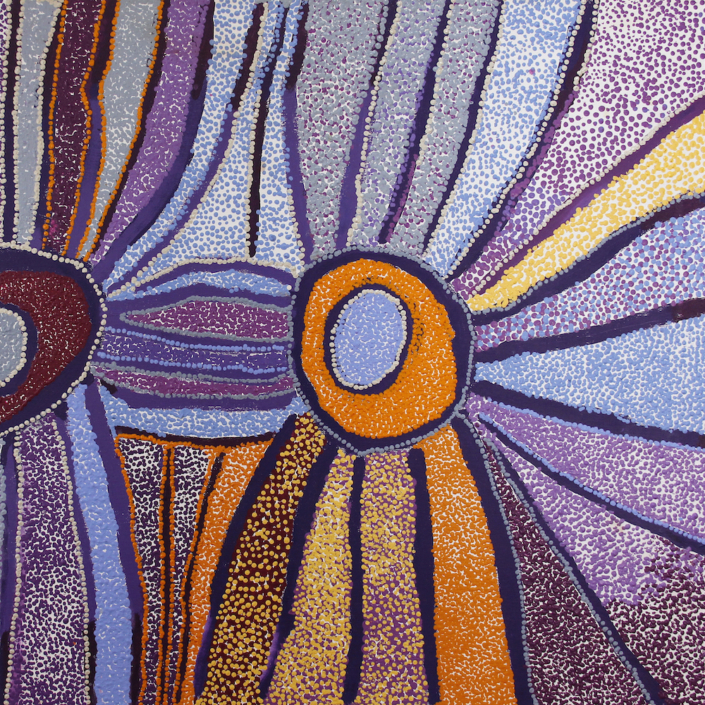 Warlayirti artists continue to pass on their Tjukurrpa (dreaming) stories and art practice to the next generation, keeping their art and culture strong. Warlayirti Artists is open Monday to Friday and weekends by appointment. No permit required. Image: Lucy Loomoo, Malari, 2018. Acrylic on canvas, 120 x 80cm.